Tired of your old dull painted wall designs? Then it is high time you considered having a break. 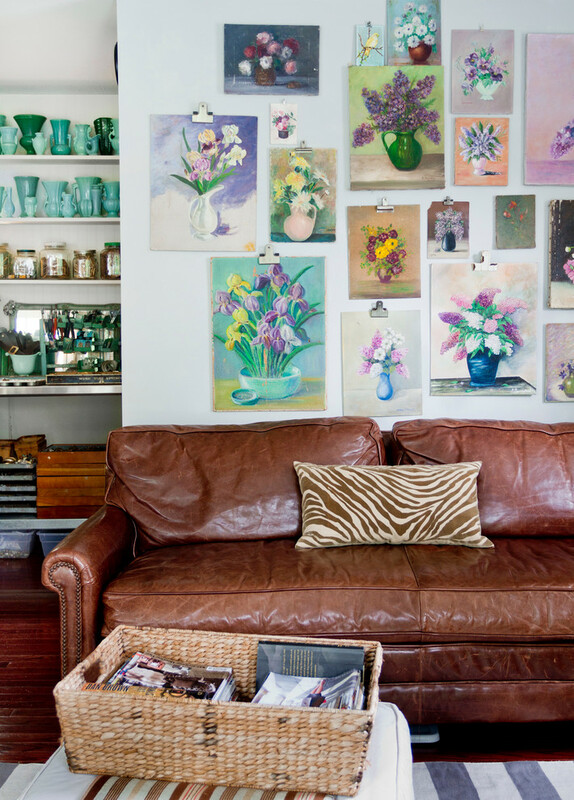 There are actually tons and tons of ways of creating gorgeous art on walls of your home or office. And, designing exciting Flower Décor Effects can be one of the spectacular ways of embellishing your walls in a creative way. Need some insights? Then have a look at this collection of awesome flower wall art designs that we feel will inspire you greatly. These designs come with some unique element of specialty. While the hanging bed fitting in this room brings with it some element of exceptionality, the mural art design on the wall behind the bed enhances the room’s elegance even more. 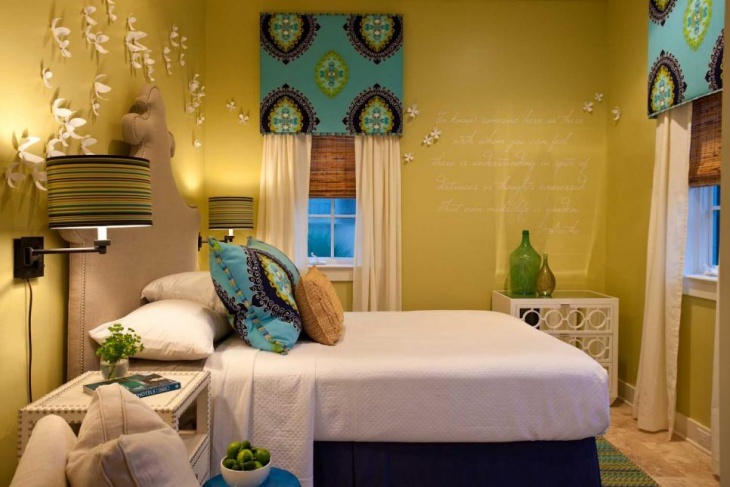 These colorful wall art filled with beautiful flower patterns gives the room a real touch of stylishness. The captivating mural art on the walls of this room brings the real beauty and warmth of nature and flowers into the room. This hand-painted multi-colored flowers and leaves art depicts how you can change your mind-numbing room into an intricate, gorgeous one. Looking for an idea to make your girl’s bedroom gripping? 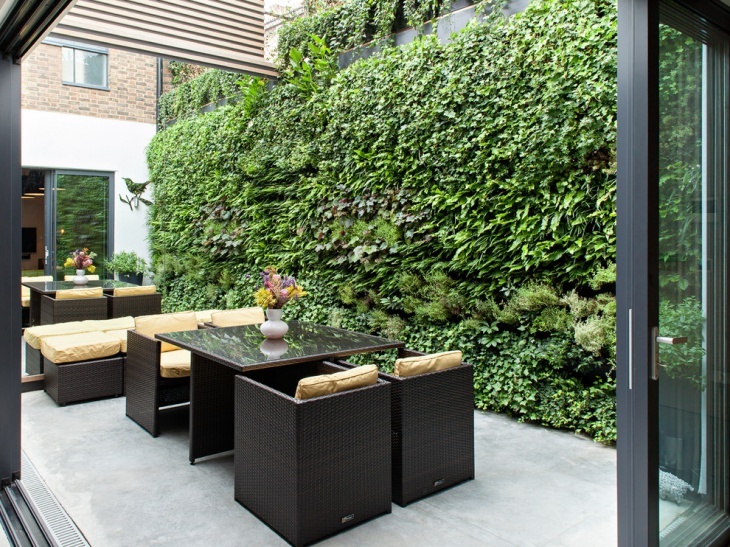 Then this wall design can be a very good source of inspiration. 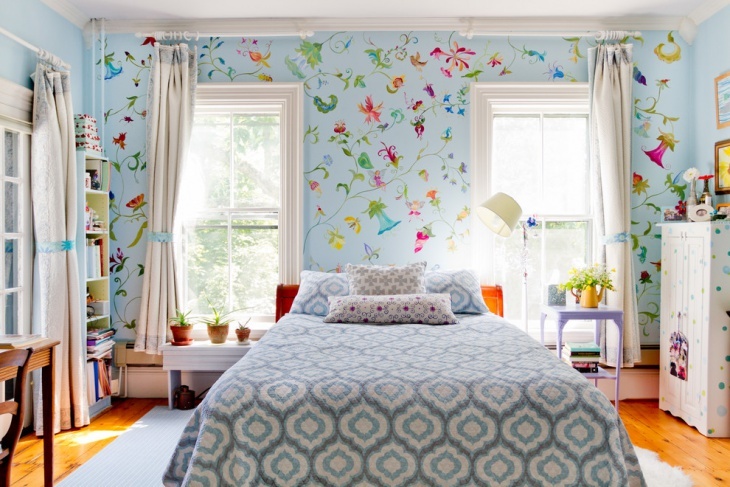 The white wallflower stickers on the light-blue walls make the room appear not only pretty but also stylish. The red flower art over the beautiful upholstered headboard on this wall makes a statement in this neat, brightly colored bedroom. The bright color used on the background especially makes the flowers stand out in a manner that is really captivating. 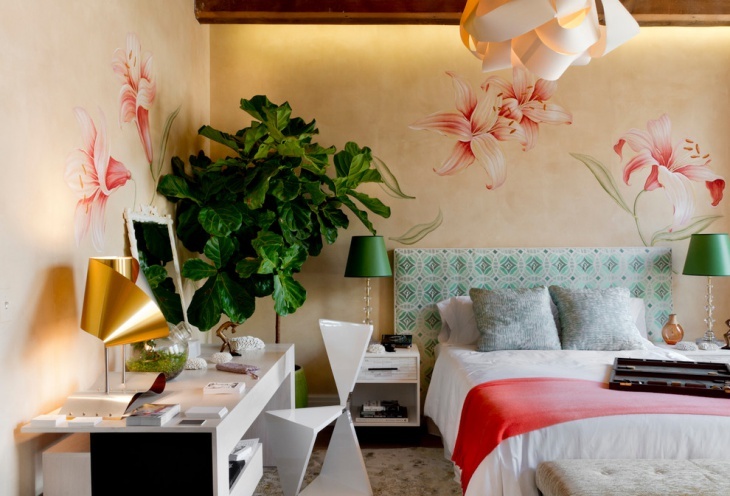 The large white flower art on this floating wall looks really appealing. 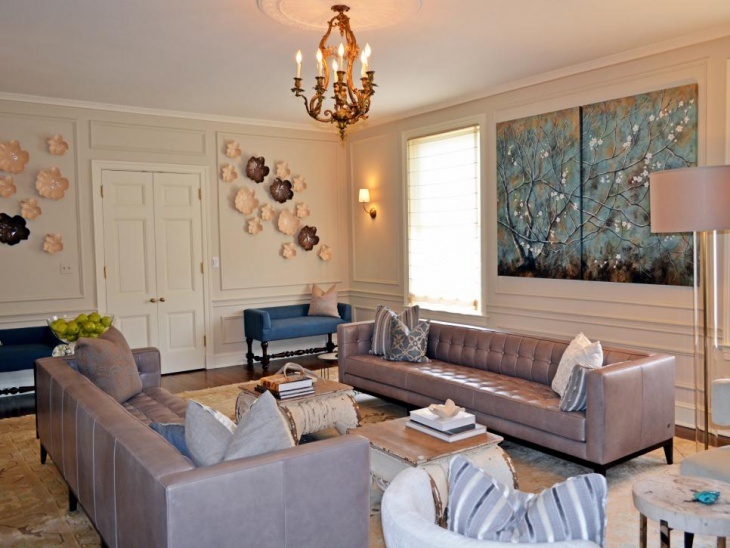 The art matches well with the colour scheme of choice and the other elements on this room. 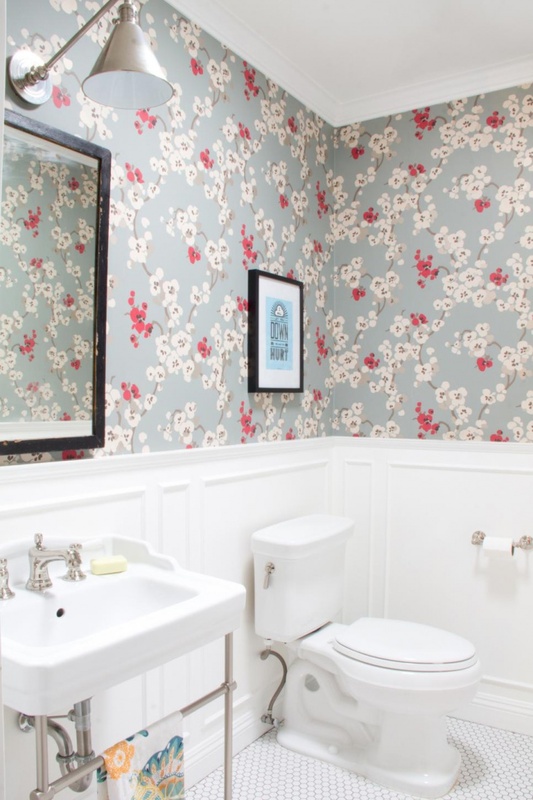 This can be a nice way of transforming your dull bathroom into a nice-looking one. 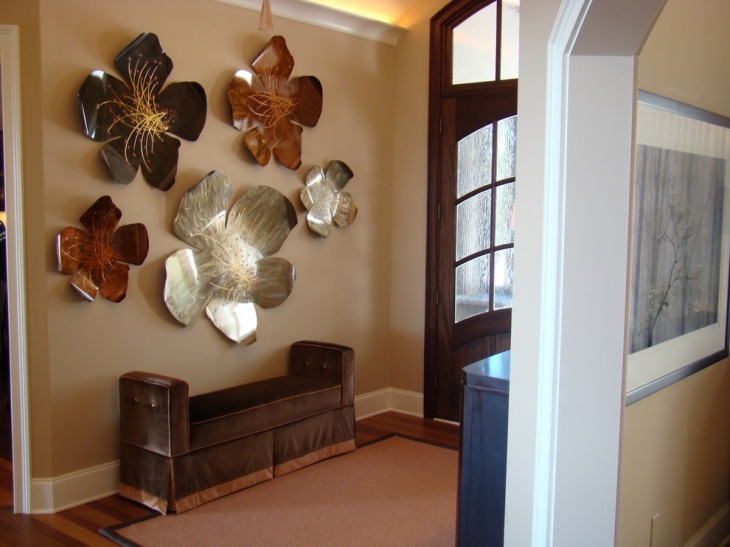 This conspicuous metal flower wall art makes the room attractive. A better idea of playing around with these metal flowers could involve spreading them wide apart on the walls of your room instead of clustering them together as in this design. 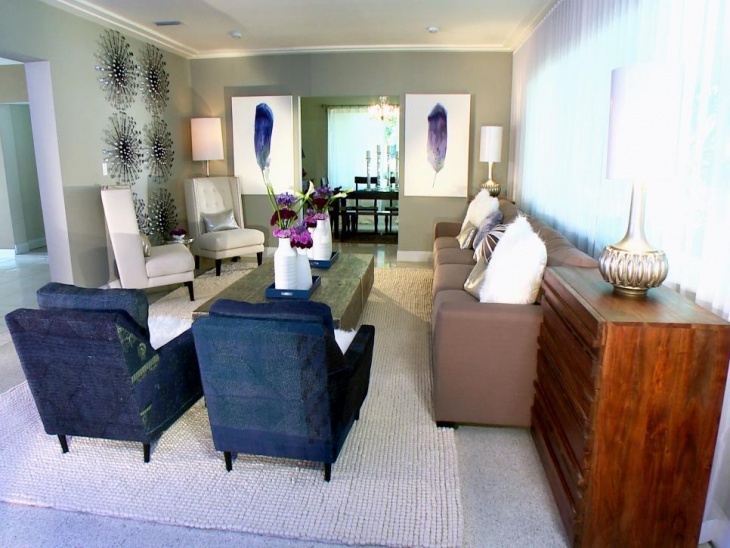 This design can be really inspiring for creating a great-looking room design. The colour scheme and the colorful hanging flowers make the entire room quite gorgeous. The blend of purple, pink, red and cream colors for the flowers is very fascinating. 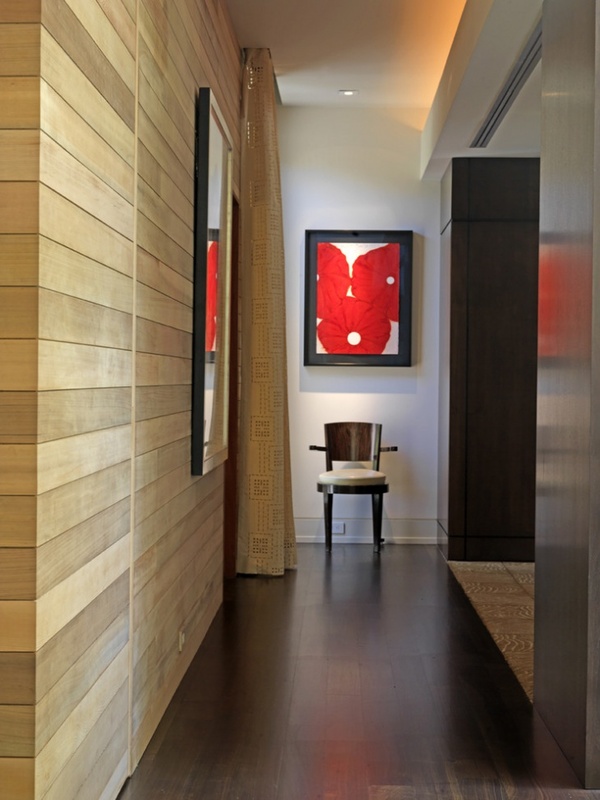 The poppy nature of the flower wall art definitely makes the walls of this blind-ended hallway the centre of focus. The neutral color scheme chosen for areas around the red flower pattern help accentuate the wall art even more. While the green wall seems the focal point of the space, the elegance of golden flower elements enhances the beauty of the room very much. 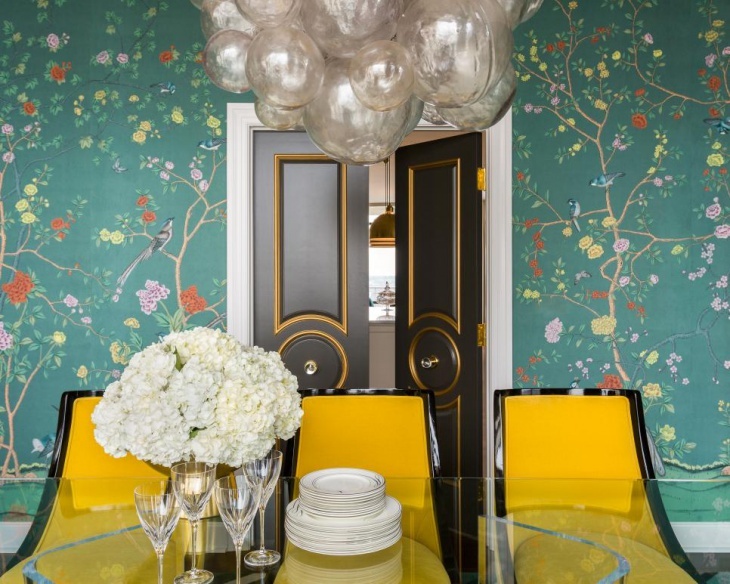 Plus, the elements blend perfectly well with the colour scheme and the room’s furnishings. Probably, you have found these designs really stimulating. Just draw some inspiration from one of these wall art designs and give the walls of your home or office a new spectacular look. Flower and tree wall art designs will not only make your home or office to look gorgeous but fascinate your visitors as well.